Add an additional $11.00 heavy/bulky shipping charge per each. 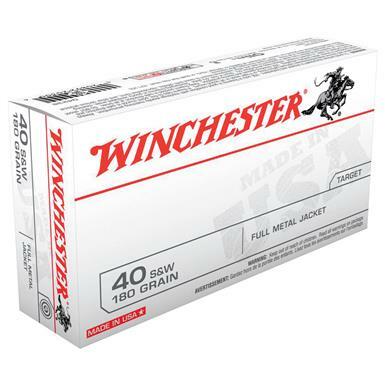 Winchester White Box, .40 S W, FMJ, 180 Grain, 1,000 Rounds is rated 4.0 out of 5 by 1. Rated 4 out of 5 by chip from Good price Plenty of power. Solid buy! Get a more consistent shot. Velocity, accuracy and recoil perfected in ammo.